It has been reported in the press today that Chelsea may well make a move for Hulk this summer to further their options in attack. Roman Abramovich was hot on the heels of the Brazil international last summer, but the South American chose a move to Zenit St Petersburg instead. However, with Hulk unsettled in Russia, should Chelsea reignite their attempts to sign him? On first glance it appears that Hulk may well be what the Blues need – physical, strong, fast with an excellent goal scoring record. However while placing your bet on your favorite team in Soccer other options should be considered; the Stamford Bridge club will have more suitable players available to them for the astronomical transfer fee that it will take to bring Hulk to west London. Despite his physical attributes, Hulk fancies himself as a ball player and in traditional Brazilian style wants to drop deep to get involved in possession. There is nothing wrong with this, however that type of player is not what is needed at Chelsea. With the likes of Oscar, Eden Hazard and the mercurial Juan Mata as playmakers, another player dropping into the mix to play passes is unnecessary. With the creative players at the club’s disposal, an out-an-out finisher and goalscorer is needed to convert chances rather than another technical ball player. In that respect Hulk’s former Porto teammate Radamel Falcao is a much closer fit, as is someone like Edinson Cavani or Robert Lewandowski. One must also quest Hulk’s motivations, after Chelsea lost out to Zenit in the battle for his signature last summer. The South American has followed the money to play in Russia, and after realising that he does not want to be there now is ready to jump ship; this despite the fact that he only moved to Zenit in September. Chelsea need team players and characters that are ready to battle to win close games. As talented as Hulk is, it appears that he is not the right player for the Blues, and has questionable motives. Given the huge potential transfer fee also, Mr. Abramovich would be best spend his money elsewhere. With 10 games still to go in this season’s Premier League, some may argue it is too early for us to be commenting on future arrivals. But this is football – half of what is written is hypothesis. The truth is, every manager already has their summer wishlist, so here is a look at the one player each of the current top four should be seriously considering if they want to improve next season. For years, fans and pundits alike have been calling for Sir Alex Ferguson to buy a creative midfielder. But creativity and link-up play don’t seem to be a problem anymore. 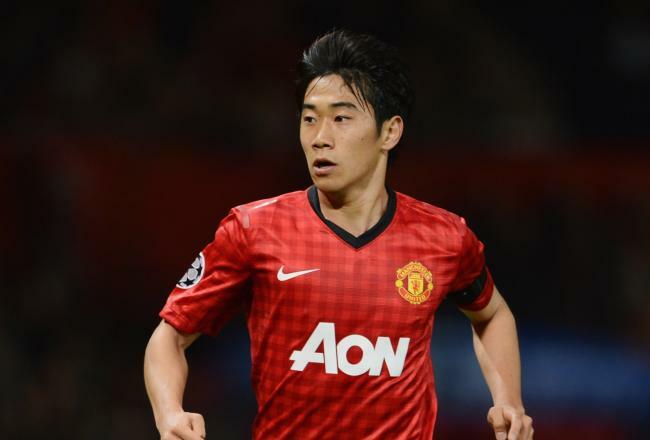 Not with the emergence of Shinji Kagawa, whose first season has been stop-start but who, at just 23, has all the attributes to be a silent superstar; and not with Nick Powell and Wilfried Zaha waiting in the wings. Instead United should be looking for a long-term successor to Rio Ferdinand. 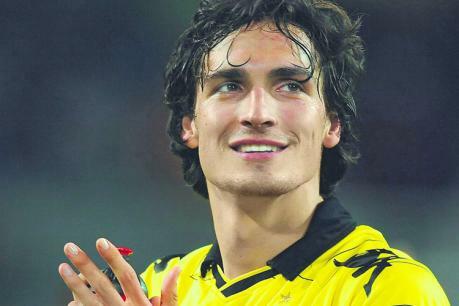 And in Borussia Dortmund centre-back Mats Hummels, they would be signing one of the best young defenders in Europe. The 24-year-old has already made over 150 appearances for the reigning Bundesliga champions and is regularly linked with moves away from the club he is contracted to until 2017. The fact is that when Ferdinand and latterly Nemanja Vidic leave Old Trafford, there are three ready-made replacements in Johnny Evans, Phil Jones and Chris Smalling. And yet Hummels’ pace, strength and ability to read the game would seal a hole that has too often been gaping this season, and at its best has been temporarily boarded-up. With Hummels forming a regular partnership with one of the above, that hole wouldn’t be big enough to get a ball through without a whole lot of effort. But it will take a big bid to get him. The 20-year-old Columbian winger has been regularly linked with United, but it is City who are in most need of him. Currently at FC Porto, he would bring a new dimension to Roberto Mancini’s team, who too often this season have been lackadaisical and missing the energy and thrust of an out-and-out winger. While unquestionably talented, the Blues’ forward line has lost some of its mojo since outscoring their city rivals last year, and for every intricate David Silva pass or surging run from Carlos Tevez, the addition of lightening pace would make them a terrifying prospect, not least because their defence has now been further fortified by the ever-improving Matija Nastasic. A consistent goal-threat himself, Rodriguez also has an impressive assist-record and will be a defining capture for whoever ultimately signs him. As with so many players these days, there is talk of an over-inflated release clause (in this case more than £36 million). But as with so many over-inflated release causes, a bid £10 million shy of that could tempt the Portuguese club’s hand and pass the advantage back to City next season. The Polish striker is the one player on this list certain to be pulling on a new shirt next season. 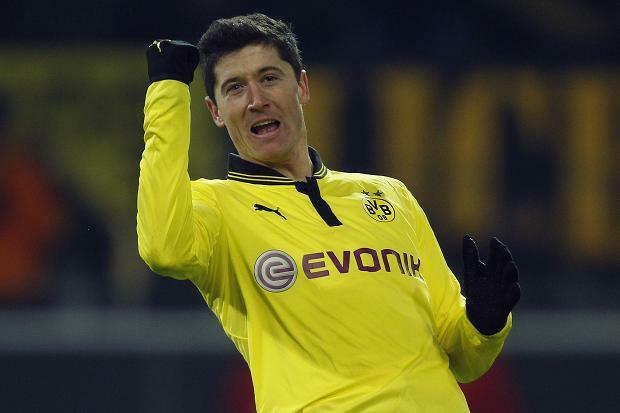 With only a year left on his contract at Borussia Dortmund, there seems little chance of him signing a new one. And while his current club have produced their best poker face in declaring he will remain should an acceptable offer not arrive, that won’t happen. Reasonable bids will come, as top clubs both in England and abroad compete to sign a man who, quite simply, knows where the goal is. With his only criteria likely to be regular football and another crack at the Champions League, a Daniel Levy bid is surely being readied. 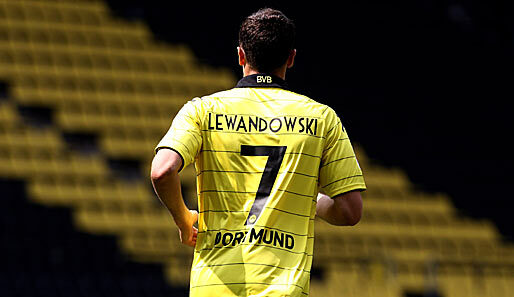 In fact the addition of Lewandowski could turn Tottenham into viable title challengers. With new signings Hugo Lloris, Jan Vertonghen and Mousa Dembele excelling this season – and Gareth Bale coming of age – the one thing Spurs fans bemoan is the lack of a consistent goal threat. And while Leandro Damiao will again be linked this summer, Levy should put all his efforts into signing a player who will turn an impressive squad into true contenders, both in England and in Europe. When Chelsea paid close to £20 million for the Belgian forward in the summer of 2011, he called the Blues his dream club. But since then he has hardly kicked a ball for them. 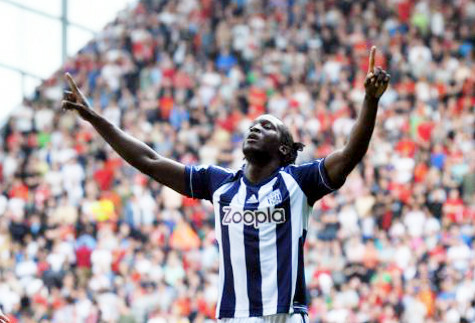 Instead it is West Bromwich Albion reaping the benefits of a loan deal Lukaku has talked about extending. Quite simply, Chelsea can’t let that happen. When your best striker is excelling for another club something is wrong. And while he may only be 19, he has shown in a series of outstanding displays for the Baggies that he is ready to be playing first-team football back in London. With arguably the most creative midfield in the Premier League, Chelsea’s one problem is their lack of forward options. Fernando Torres was last seen circa 2010, and he is not coming back; while Demba Ba is still dining out on his outstanding debut season for Newcastle. Whoever is in charge at Stamford Bridge next season, he will be looking for a player who is on the same creative wavelength as Juan Mata and Eden Hazard, a player who scores, creates and can put finishing touches to the patterns his midfield will only get better at creating. Lukaku is already better than the two men Chelsea currently rely on for goals. If they haven’t yet realised that, they may lose him altogether. Borussia Dortmund striker Lucas Barrios had an up-and-down 2011 at Signal Iduna Park, with the ecstasy of winning the German top flight blighted by a dramatic fall from grace. From talisman, goal machine and Bundesliga winner to outcast in just six months, the Paraguay international was reportedly close to making a deadline day departure from the German champions; but what does 2012 have in store for Barrios? Signed from Colo Colo in July 2009, Barrios quickly became an integral part of a young and exciting Dortmund team, continuing the goalscoring form which had seen him become a star his homeland. Barrios was the North Rhine-Westphalian club’s top scorer for his first two campaigns, and last season was the making of the South American marksman, as his 19 goals fired Jurgen Klopp’s men to their first Bundesliga title in nearly a decade. BVB must have been rubbing their hands together after reviewing their capture of La Pantera (the Panther) for just over €4 million; rumours linking Chelsea with a £30 million move for the Paraguayan were rife in the summer of 2011. 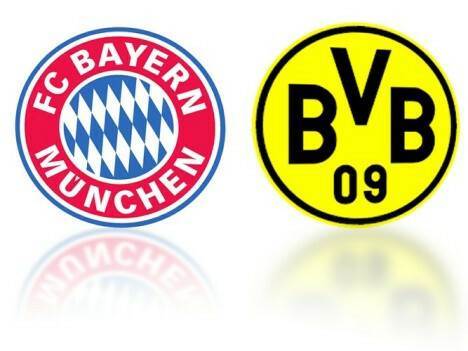 But the promise of leading the line for the ambitious German club in this season’s Champions League saw Barrios remain. He was on top of the world, but what goes up must come down. Barrios was part of the Paraguay side that reached the final of the Copa America in the summer, but a thigh injury meant he had to start the last game from the bench, and returned to Germany unfit after the tournament. A poor pre-season compromised by injury meant the striker missed the start of the 2011/12 campaign, and his replacement Robert Lewandowski grasped the opportunity to play with both hands. The Polish striker has bagged 18 goals in all competitions already this term and has cemented himself a place in Die Schwarzgelben’s first XI. Barrios has only started one game in 2011/12, and is yet to score in his 11 appearances for Dortmund. Frustration is clearly setting in for the South American, Fulham were reportedly close to sealing a £7 million deal for him on deadline day, while Liverpool have also been reported to be monitoring his situation. Despite this, Barrios’ dramatic fall from grace should be taken with a pinch of salt; the hitman’s goal record proves testament to his class and quality. With a reported asking fee of less than £10 million, it is surprising that other bigger clubs did not make more of an effort to sign the striker, with the likes of Liverpool and Arsenal in need of attacking reinforcements. The next year is an important one for Barrios, as at 27-years-old he is can ill-afford to spend the bulk of his time getting splinters and losing sharpness on Dortmund’s bench. The German champions should not forget Barrios’ heroics in last term’s title charge; given an opportunity he could well play a big part in retaining their mantle as the nation’s top team this season. With 18 months left on his contract, Jurgen Klopp may well be tempted to sell Barrios this summer if his fringe status continues; if this is the case clubs in England, Italy and Spain should take note. The old adage that form is temporary and class is permanent applies here, and Barrios’ suitors need only to take heed of the forward’s tally of 84 goals in the four seasons before this one as an indication of his enduring quality. One thing is for sure; he is too good not to be playing regular first-team football in a leading European league. 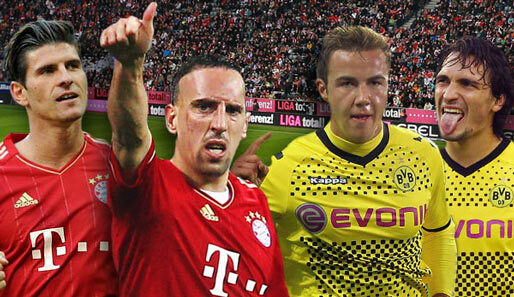 Whether that is with Dortmund or not remains to be seen.